Nursing Assistants work directly with patients in a variety of health care environments. Nursing Assistants help dress and feed patients, keep bed linens fresh, aid in turning, walking or moving a patient into a wheelchair, take vitals, feed and work closely with other personnel to observe, report and document changes in the patient. Nursing Assistants are true care givers who work in health clinics, hospitals, nursing homes, long-term care settings and hospice organizations. The close interaction with patients is very rewarding because the care the Nursing Assistant provides is so vital to every patient. Some Nursing Assistants use their experience to build their careers in health care by becoming medical assistants, nurses, lab technicians, therapists or a number of other positions in the field. Being a Nursing Assistant develops practical knowledge, hands-on experience and access to the health care system. Nursing Assistants are in high-demand in the Peoria area and are considered Critical Professions by the Greater Peoria Economic Development Council. Local employers are actively recruiting Nursing Assistants for positions in a variety of health care settings. Some of these employers offer tuition reimbursement for Nursing Assistants who want to continue pursuing their education in other health related fields. 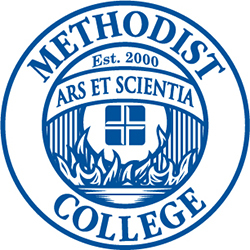 Methodist College offers a flexible Nursing Assistant program to cater to students and working adults. It is certified through the Illinois Department of Public Health. Tuition for the Nursing Assistant program is approximately $1,500 (excluding books and fees) due prior to beginning the program. Some military personnel may be eligible to become a CNA via U.S. military training. Eligible personnel are those who have successfully completed a U.S. Military training program that includes the content of a nurse aide training program. For more information on eligibility requirements and application information please visit the Illinois Nurse Aide Testing website. Please contact Kyle Bright, Director of Student Recruitment at admissions@methodistcol.edu or (309) 672-5513 for additional information on admission requirements. If you are ready to apply to the Nursing Assistant program, please complete an application HERE.